Dell'Orto's mill is certified for the cultivation of organic processing. Dell'Orto Organic Extra Virgin Olive Oils are first cold press, all natural, unadulterated, sold only in dark bottles or tins, great tasting, and labeled with "harvest year" and "best if used by date" for freshness. The 2017/2018 harvest date, is a multi cultivar of Carpellese and Rotondella olives, has an acidity of 0.17 and a best if used by date of 31 Dec 2019. Aromas of Green Fruit, Green Tomato, Green Banana, Artichoke, Green Pepper, Green Tea. Ideal for sautéing, as well as a dressing for vegetables, salads, pasta, soups and for dipping bread. The certification for organic extra virgin olive oil is obtained according to the strict rules of organic farming including the production, processing, and packaging of the olive oil. In order to meet these requirements, the famers must be certified organic farmers. The olive trees must be grown without the use of insecticides, pesticides or chemical fertilizer, enforced by both the Mediterranean Institute of Certification (IMC) and U.S controlling bodies. The IMC certification is accepted by the USDA as meeting the requirements for organic products exported to the USA. Imported Organic Extra Virgin Olive Oil, like other organic products, must bear the USDA symbol. Certification for Dell'Orto Organic Extra Virgin Olive Oil is posted on our web page. 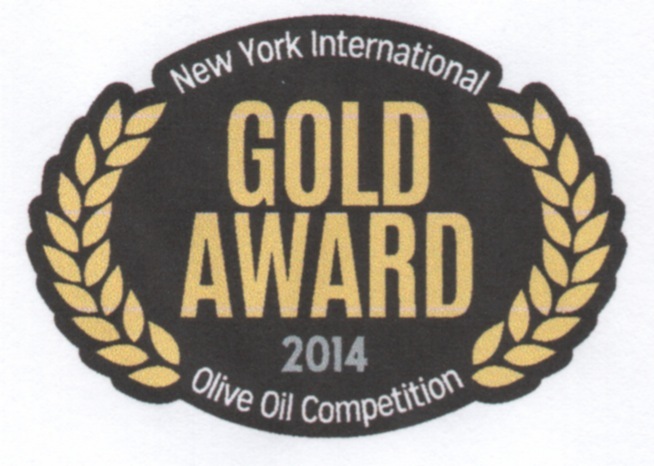 Winner of the Gold Medal at the 2016 Los Angeles Int'l Extra Virgin Olive Oil Competition. Winner of the 2018 Silver Medal and at the New York International Extra Virgin Olive Oil Competition, and named among "The Best Olive Oils in the World". Listed in Tom Mueller's Truth in Olive Guide, "GREAT OLIVE OILS OF THE WORLD". What a treat and a treasure this was to open! It’s not only beautiful in the bottle itself, but the taste is the highest quality olive oil, and we were pleasantly surprised! We will definitely be making Dell’Orto’s our home for all of our personal olive oil from now on. Telling everyone, that’s how great this is! Delicious! !